BBrett A. Perlman supports Alliance clients in Regulatory Compliance and Advocacy, Risk Management and Capital Efficiency, Smart Grid and Executive Management Consulting. In addition to being an Associate of Alliance, he is currently President of Vector Advisors, a management consulting firm that provides services to telecommunications and energy clients. Prior to his current role, he served as Commissioner of the Public Utility Commission of Texas from 1999 to 2003. Brett was appointed to the Texas PUC in 1999 by then-Governor George W. Bush and served until his term ended in September 2003. In this role, he was responsible for leading the successful restructuring of Texas’ $17 billion electric utility industry and $4 billion telecommunications industry as these markets opened to competition. As a result of Brett’s leadership, Texas has been widely recognized as having the best electric restructuring program in the country and as one of the most successful competitive telecommunications markets. In addition, Brett was the only publicly appointed official to serve throughout the entire Texas electric restructuring process and therefore has unparalleled insights into the Texas electric market. Brett’s current activities as President of Vector Advisors include providing management consulting services to telecommunications and energy clients. 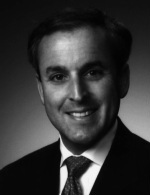 Recent engagements have included advising private equity firms, including Kravis Kohlberg and Roberts (KKR), Texas Pacific Group (TPG) and GE Capital on merger and acquisition issues, serving utilities such as Entergy, Consolidated Edison Solutions, and MidAmerican Energy and working on clean energy issues with entrepreneurial companies and academic institutions such as EnerNOC, Current Technologies and the Texas Center for Superconductivity at the University of Houston. He also founded and served on the Board of Directors of Vector ESP, $40 million venture-capital-backed IT services company until its sale to MTM Technologies last year. Prior to his appointment to the Texas PUC, Perlman was a management consultant with the Texas office of McKinsey & Company, a global management consulting firm known for its leadership role in business consulting. At McKinsey, Perlman specialized in strategic planning for Fortune 500 technology companies in identifying new market opportunities and developing corporate strategies. Perlman has also practiced law with the Washington D.C. office of Akin, Gump, Strauss, Hauer & Feld and with the Houston office of Jenkens & Gilchrist. Perlman has been actively involved in his community at both the state and local levels. He wrote a nationally recognized report for the state’s Science and Technology Council and provided strategic planning for the state's Telecommunications Infrastructure Fund Board, which was responsible for Texas' $1.5 billion fund for wiring schools for the Internet. Perlman also helped start the Houston Technology Center, where he serves on the Advisory Board, and is a Board member of the MIT Enterprise Forum of Houston. A native of Houston, Perlman graduated Phi Beta Kappa in economics from Northwestern University in Evanston, Ill. He received a law degree from the University of Texas Law School where he was associate editor of the Texas Law Review. He also holds a master's degree in public administration from the John F. Kennedy School of Government at Harvard University where he focused on business and policy issues involving information technology, telecommunications industry and the Internet.